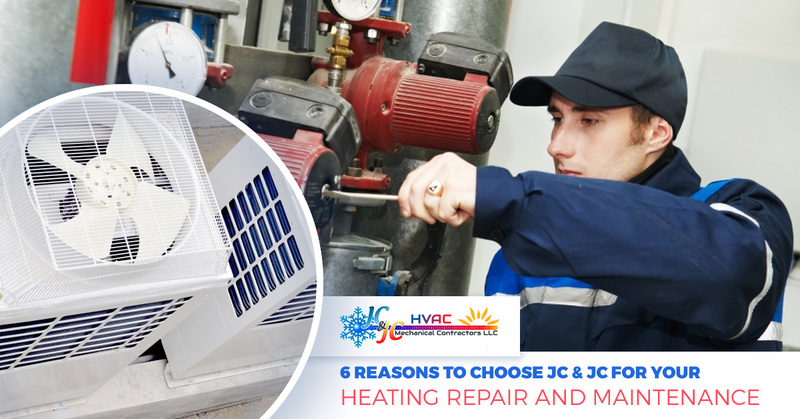 Heating Repair Beltsville: Why Choose JC & JC? We’re not going to lie to you and say we’re the only heating repair technicians in the Beltsville area. If you do a search for “heating repair near me” you’re sure to find other heating maintenance and repair technicians, so we have to set ourselves apart in some way, right? Well, we’ve come up with six very good reasons that you should consider calling us. There’s a big push to shop local and eat local, but it’s also a good idea to make use of family-owned services whenever possible. When you use local services, you’re keeping your money local and helping to employ local HVAC service technicians. While we’re based in Beltsville, we serve cities and towns like Rockville, Potomac, Silver Spring, Bethesda, Laurel, Germantown, and the towns in between. One of the most important things you can do as a homeowner is schedule regular HVAC maintenance. If you think about it, your HVAC system is the largest appliance to your home, and it’s not only costly to replace but also difficult. Getting regular heating maintenance can catch problems with your furnace or boiler before they become even bigger, more expensive problems. It can also help your heating units work more efficiently, which can save you money on your heating bill. Because of their mechanical nature, every heating unit is going to require repair eventually. It could be the blower, or a gasket, or an electrical component that finally failed. 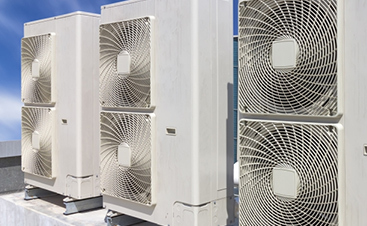 While regular HVAC maintenance can lengthen the life of parts or catch problems before repairs or needed, there will always be out-of-the-blue repairs needed at some point in the system’s life. If you’ve woken up to cold floors or come home some day and find that you have to leave your coat on, give us a call. It’s no coincidence that this often happens on the coldest days, because those are the days that a furnace or boiler is working its hardest. We’ll be there as soon as we can to get your heat back on. If your heating unit is getting old, there’s always the chance that you’re going to need a new boiler or furnace installation. Yes, it’s a big deal, but we’ll make sure that your furnace or boiler installation goes as smooth as it possibly can. If you need help paying for your new heater, we can even help with financing! Maryland has a long history, and many houses have seen multiple types of heating over the years. 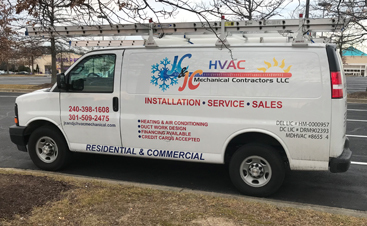 At JC & JC HVAC Mechanical, we’re able to work on any type of heating unit you have. We perform furnace repair on both oil and gas furnaces, and also repair boilers, no matter the make or model. 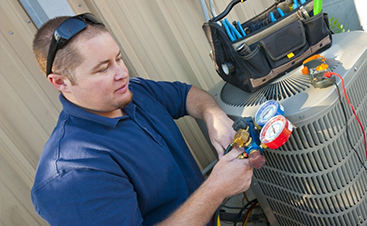 We stay on top of the latest HVAC training as well so that we can perform service on any unit, new or old. Sometimes a broken heating source can be a mere annoyance, but it can also be downright dangerous. Not only can it cause pipes to freeze and burst, but living in a house for too long without a heat source can be deadly in some circumstance. We know how low the temperatures can get here in Maryland, and we know what a problem living without heat can be. The moment you notice anything is wrong with your furnace or boiler, give us a call. Let’s just admit it, everyone is looking for a good deal. You have an idea of what furnace service should cost, and most of the time you’re surprised by how much the other HVAC techs are charging. At JC & JC HVAC Mechanical, we’re interested in impressing people with our prices and having them come back to us again and again. Just give us a call and we’ll give you a good idea of how much HVAC repair or maintenance will cost. Our HVAC company knows just how the people of Maryland want to be treated when it comes to furnace and boiler repair. We’re friendly and affordable, and we’re well-trained in all forms of heating repair. Contact us when you need to get your house warm again!